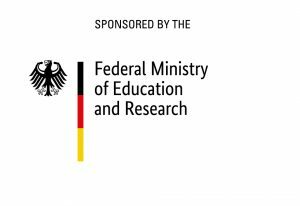 The “International Student Week in Ilmenau” (ISWI) is a conference for students organized by students. It takes place every alternative year at the campus of Technische Universität Ilmenau. Over 370 participants from more than 70 different countries took part in the last ISWI in 2017. Compared to other similar events ISWI is known for its focus on group work, lectures and debates on a certain main topic, to which the conference is dedicated. As main topic the organizing committee always tries to find areas of tension that include recent problems and developments in the world. 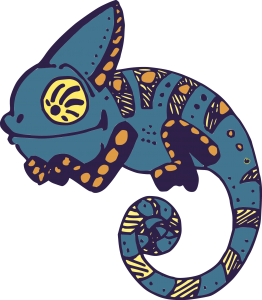 The main aim of the ISWI is to bring young people from all over the world together and serve as a platform for exchange and getting to know each other as well as for discussion and working out ideas to solve recent problems. The official language of the conference is English. Changes and Choices: Good by(e) Tradition? What would our world be today if traditions had never been questioned? How would it be if people like Desmond Tutu and Nelson Mandela, Simone de Beauvoir and Rosa Parks or Martin Luther King hadn’t existed? 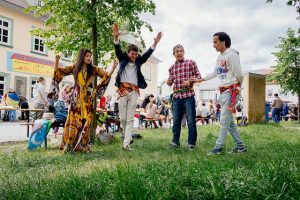 They and many more have inspired us in finding the topic for the International Student Week in Ilmenau 2019: Tradition and Transition. “Changes and Choices: Good by(e) Tradition?” is the motto of the forthcoming conference. Driven by the tension and the seeming contradiction between tradition and transition, we would like to look at the global perspective. The motto invites us to recognize the interdependence of traditions, changes, and choices, and at the same time encourages a deeper examination and awareness. Are our changes and choices good by tradition or might it be time to say good bye tradition in some cases? In many ways, our life is influenced by structures, behaviors, and attitudes that we did not develop ourselves, but have adopted from our ancestors, relatives or peers. Whether traditions are passed on orally or in writing, within a group or from generation to generation, it seems impossible to refuse from being affected by them. Rather than that, traditions form our cultures and have a decisive influence on our identity and community. Besides, they can result in complex religious, political, economic and scientific systems. The interconnection and dependence among themselves are driven by globalization. In this way, traditions nowadays function and impact beyond community and national boundaries. Nevertheless, this interdependence also challenges existing traditions. “Everything flows; nothing remains.” This 2,500 years old wisdom seems to be more appropriate than ever. Changes, especially technological changes, are taking place at unprecedented speed. The digital revolution and its disruptive technologies are just one example of a whole series of changes that affect almost all aspects of life, having an impact on society and environment as well as political and economic courses. But, tradition too claims to be consistent. This seems to be an insoluble contradiction and often leads to an insurmountable conflict between tradition and modernity. Fundamentalism, for example, is one outcome. But are tradition and transition mutually exclusive? Do we have to discard or deny one in order to achieve the other, or can they coexist without conflict? Can they possibly complement and promote each other? In 30 workgroups, we offer the opportunity to dive into specific areas of interest beyond national borders. Instead of a quick and general answer, we would like to gain different perspectives and take a critical view of both sides – tradition and transition. In our eyes, this critical view is important in order to achieve a world community of solidarity in which every individual is socially and economically secure and can live free from discrimination and violence. It reinforces a mutual understanding as it invites us to question our own point of view and habits and understand the view of our counterpart at the same time. Taking a critical view can mean to question the roots, meaning, implications and impact, not only locally but globally. How might certain traditions be connected to human rights, climate change, and global justice? Which transitions are we facing, and which would we like to see in the future? How can we actively create them? During ISWI 2019 we want to discuss these matters together with you. Our students’ conference will enable people to gather in an understanding and tolerant atmosphere for exchanging ideas in an open-minded dialogue. During workshops, discussions, lectures, group work, and personal conversations, you will have the chance to share arguments, experiences and ideas related to topics that matter to you. We want to discuss our role as responsible persons within society in order to develop solutions for existing problems and take responsibility together. We would like to focus on the idea that everyone can influence our future – and be the change. The people behind ISWI: The association ISWI e.V. The “Initiative Solidarische Welt Ilmenau e.V.” (ISWI e.V. ), established in 1992, is an incorporated society and NGO led by students who organize the projects as volunteers. Its status is that of a non-profit and benevolent organization. We set ourselves the goal to fight against social inequality, racism and intolerance as well as to promote mutual understanding. To reach this aim, we organize projects that raise awareness to recent problems and offer an open platform to get to know each other, exchange views and work out solutions for these problems. Our main project, the “International Student Week in Ilmenau” (ISWI), takes place every two years since 1993 at the Technische Universität Ilmenau. Born in 1965 to a nomadic family in Somalia, Waris faced oppressive socio-cultural circumstances. Through her resolve and determination, she journeyed against the odds to establish herself as a supermodel in London. Beginning by sharing her inspiring story through a book named “Desert Flower“ in 1997, later an internationally recognized bestseller, she changed her career path to become a human rights activist. At the age of five, Waris forcefully underwent female genital mutilation (FGM). The harmful practice of FGM affects about 8,000 girls each day in different parts of the world. Having faced numerous struggles herself, Waris resolved to challenge long-held socio-culture norms to empower young girls and women through her mission to eliminate FGM. She served as the UN Special Ambassador for the Elimination of FGM from 1997 to 2003. 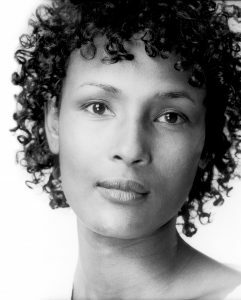 Originally founded in 2002 by Waris herself, the “Desert Flower Foundation” pursues the clear and important goal of eradication of FGM worldwide. Through programmes aiming at spreading awareness, enabling and providing education, direct sponsoring, and treatment of victims, the Desert Flower Foundation has continued to stay true to its mission. Recognizing the multiple aspects involved in addressing the issue, the foundation works on the ground with affected communities while also collaborating with partners around the world. Waris continues to make a difference to countless girls and to the world at large. Her grit and determination to pursue her chosen cause is a fine example of living a purposeful life. 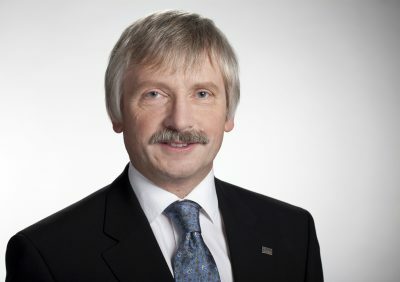 “With immense pleasure, enthusiasm and hope, I support the International Student Week in Ilmenau 2019 ‘Tradition & Transition’ bearing the motto “Changes and Choices: Good by(e) Tradition?”. Through this letter, I gladly accept the role of Patron of the conference and appreciate the efforts of its organisers at ISWI e.V. The conference is a brilliant opportunity for the global youth to engage in discussions, discover variations of culture and to build bridges towards a worthwhile future. It is certainly an effective platform encouraging collective efforts to find solutions to the many challenges we face as a global community. Even as we make rapid technological advancements, the world we live in is shaped by the traditions that have evolved over generations. While many of our familiar traditions are worth treasuring, it is imperative to challenge harmful and demeaning practices. The thought-provoking topic of the conference invites its participants to introspect, reflect and understand how meaningful transitions can be possible while harnessing the positive influence of traditions. Born in 1968 in Chiswick, London, Rob travelled through many countries in his early years and has several years of experience in education, teaching permaculture and natural building. 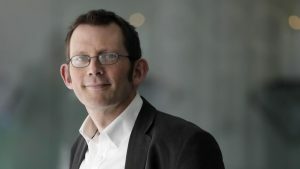 He holds an MSc in Social Research and in 2010 completed a PhD at the University of Plymouth entitled ‘Localisation and resilience at the local level: the case of Transition Town Totnes’. Rob is a dedicated advocate of the transitioning from conventional, non-renewable energy to more sustainable forms. As a prominent leader in the environmental movement, he has appeared on broadcasting channels like BBC Radio 4 and spoken on platforms like TEDGlobal. He has written several books including ‘The Transition Handbook’ and ‘The Power of Just Doing Stuff’. His most notable creation, Transition Network, describes itself as “A movement of communities coming together to reimagine and rebuild our world.” Transition nurtures grassroots, community-driven efforts to solve pressing issues that affect us all. By enabling social and cultural inclusion, the Transition Network is a bold step in reimagining our lives. The network spans through 50 nations and engages hundreds of thousands of people. Currently, Rob is working on a book called ‘From What Is to What If’, which explores the role imagination can play in making a difference in our personal and societal lives (due to be published by Chelsea Green Publishing in September 2019. He is also the Director of an innovative craft brewery, and a keen gardener. “There is hardly any other conference at this university to which I more enjoy welcoming guests from all over the world than the International Student Week Ilmenau, or ”ISWI“. Not only because this is the biggest conference of its kind throughout Germany; it is about quality rather than quantity. For ten days, the International Student Week turns the Technische Universität Ilmenau into a peaceful microcosm crossing national borders. 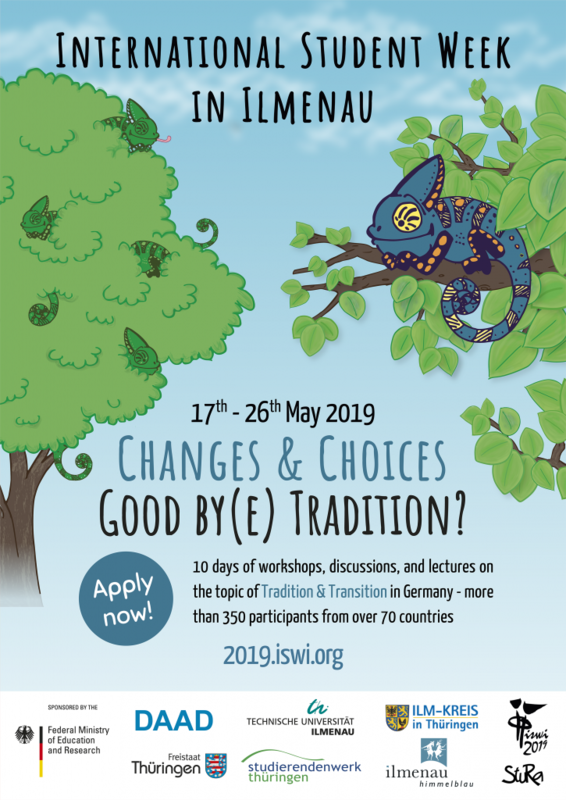 People from 70 different nations across all continents will gather in Ilmenau to discuss the question ”Changes and Choices – Good by(e) Tradition?“ in a peaceful atmosphere and to celebrate together. This is the reason why I am so happy to welcome you! The guiding theme of ISWI – tradition this year, or justice, responsibility, freedom and human rights in the past – reflects the values we aim to promote with our Campus Family initiative at the TU Ilmenau: trust, openness, mutual respect, diversity and intercultural tolerance. I am very glad that ISWI fulfils this vision of a world family in having you, dear guests, here at the TU Ilmenau. During your days here, you become members of our Campus Family.